What should we expect from the upcoming hairstyle trends? Today’s post will cover to a certain extend the upcoming trends and tendencies in the hairstyles, since we all know that changes in clothing and fashion naturally provoke changes in the way we treat our hair and the haircut we have. Therefore, we shall cover a few of the leading traits in the hairstyle world. So, let us get started by commenting on one of the evergreens – the straight hair. It is not really surprising that it is among the most preferred hairstyles once again. The explanation is more than simple – straight hair goes well with any face shape, so no matter whether you have a round or oval face, you cannot simply get it wrong with this style. Moving forward, we shall reveal another well known style – wet hair. True, wet hair is mostly preferred during the summer season, however if we are to take a closer look at the fashion collections of designers such as Marc Jacobs and Louis Vuitton, we shall discover that wet hair elements are widely used in their latest collections. The difference though is that only particular segments rather than the whole hair can be given the wet look. Now, let us see what the two latest trends in hairstyles will be. Number one would be the curly hair. This hairstyle is off to a great start, so expect to see more and more women with curls. There are by all means a few curl styles: casually arranged curls, the carefully shaped ones or even the lush curls that take us back to the 1941s and convey that incredible cinema look. Bottom line, curls will be the new black! 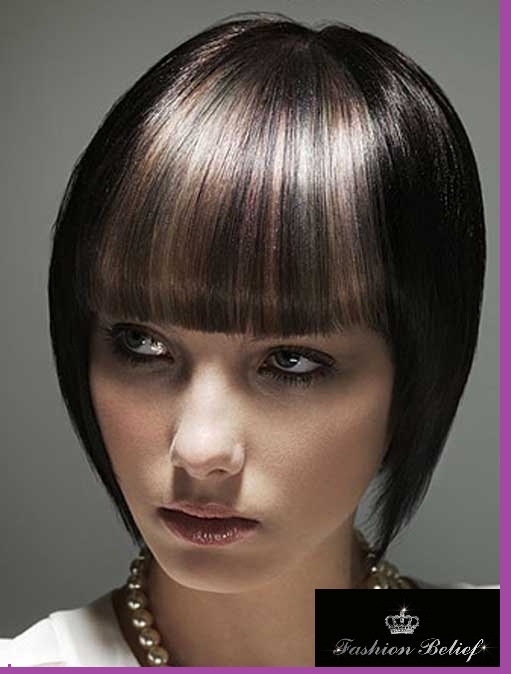 The second hot favorite would be the bangs or the fringes (depending on which side of the ocean you are located). Yes, bangs are back and they are going to stay for a while. Their biggest advantage is that you can get a whole new look with a simple bang without really undergoing radical changes. The most popular bangs are the following: blunt bangs, side swept bangs, choppy bangs, asymmetrical bangs, disconnected bangs. We shall leave the choice to you!